The International Whaling Commission introduced a ban on commercial whaling in 1986, however, in December Japan announced its intention to withdraw from the commission to resume the activity, and has since faced widespread international criticism. 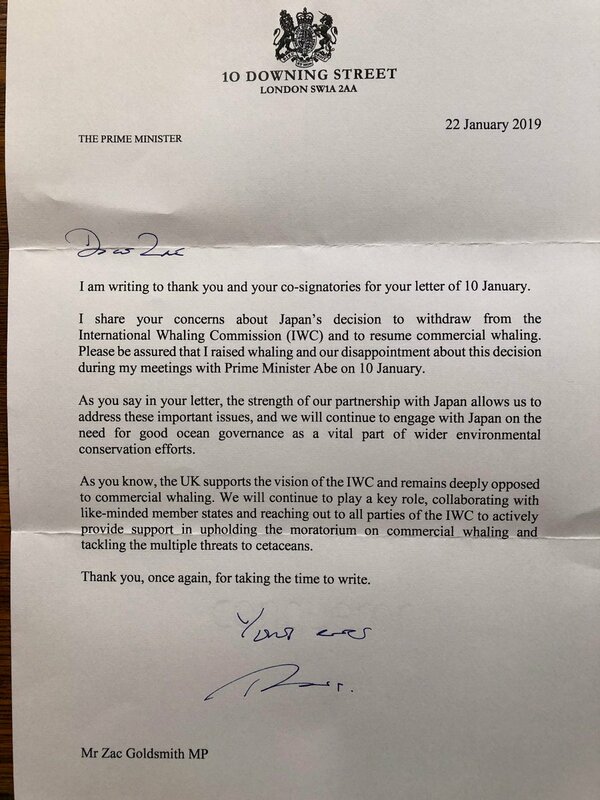 Prime Minister Theresa May wrote, "I share your concerns about Japan's decision to withdraw from the International Whaling Commission (IWC) and to resume commercial whaling. 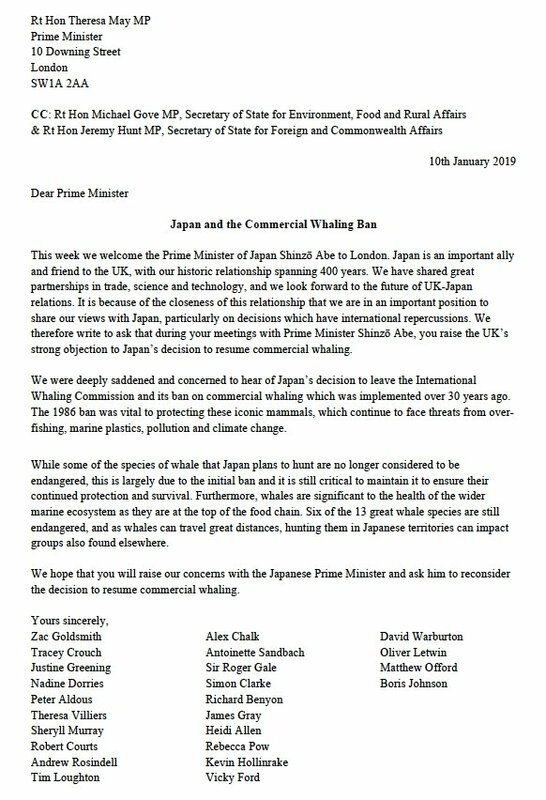 Please be assured that I raised whaling and our disappointment about this decision during my meetings with Prime Minister Abe on 10 January... As you know the UK supports the vision of the IWC and remains deeply opposed to commercial whaling." Upon receiving the Prime Minister's letter, Robert said: "Pleased that the Prime Minister responded positively to the letter I and other colleagues signed asking her to raise with the visiting Japanese Prime Minister, Shinzo Abe, their appalling decision to leave the International Whaling Commission and resume commercial whale hunting. "The UK has a unique role to play in protecting our precious marine environment worldwide, and that includes talking to our allies about their actions which can have international consequences."